Karyn Gerrard: Hump Day Hottie: Jon Hamm! 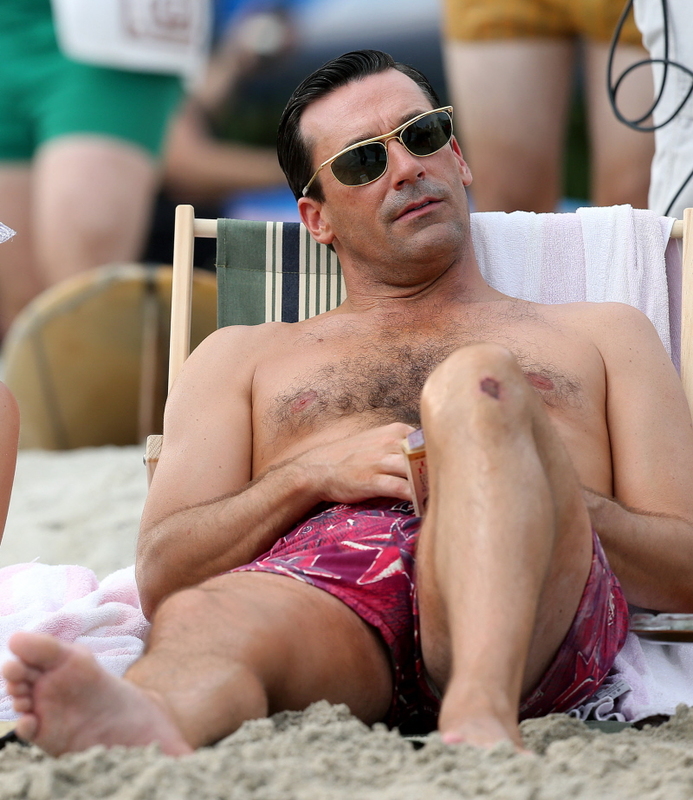 Hump Day Hottie: Jon Hamm! Here is the shot that I put on Pinterest that had 407 repins. Jon Hamm has the classic, tall, dark, and handsome looks that universally appeal. Tall, well-built and smart, he's got it all going on. I've seen him on Bill Maher, the man knows his stuff. Now, this season of Mad Men is not impressing me, in fact, the hubs bailed after episode 1 of the new season six. Why am I still watching? Jon Hamm. Love him. Don Draper, not so much. Jon was born in St. Louis. Missouri March 10, 1971. At 42, he has reached his peak. Don Draper is not a likeable character. But Jon Hamm manages to convey a wide spectrum of emotions that have you feeling sorry for the cheating scumbag. At times. I admit I FF though the storyline of his affair. *yawn*. I do like dark hair as well,love the first picture most!Green eye's would be wonderful as well! Hi Irmtraut, I agree, green eyes are lovely. so glad you enjoyed Black Scar. And you are so right, you can't judge a book by its cover. There should be two more books in the Blackthorne Clan and that should finish it off. have to write them first, lol!